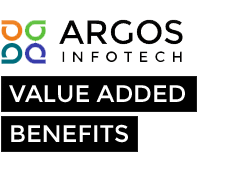 Argos is capable of highly specialized API development. We can build high performance APIs suited to varying business models and ensuring their seamless integration with powerful business apps. The foundation of every rich and user-friendly app is the API, or application programming interface – a set of programming instructions or standards that tell the app what to do without any user knowledge or intervention. APIs are used to increase the user reach, and improve the acceptance of the main application. Highly specialized APIs are the force behind these powerful apps, with each API created as a specific function for results. API development is a smart way to build strategic alliances with other businesses. Other businesses can utilize APIs developed by you to provide specialized services to their clients and share revenue with your company for using your ‘resources’. Argos provides full REST/JSON based API implementation and related apps with best practices.